How to choose your led device for home use? Do you want to perform light therapy treatments without leaving your home? You will therefore have to choose the led device that will allow you to perform your treatment independently. To make this selection, several criteria must be taken into account in order to obtain the desired effect and have an optimal rendering. Whether for the face or the body, light therapy acts in depth on the dermis to achieve several corrective actions on the skin. If you wish to carry out these treatments at home, you will need to equip yourself with a led device. And to choose it well, you must know the criteria that will allow you to perform a solo treatment while obtaining the expected results. When you decide to perform light therapy treatments at home, i.e. without the assistance of a professional, it is not always easy to choose the right LED face device. In fact, several criteria must be taken into account, on the one hand to meet your specific needs and on the other hand in technical terms. These will be decisive in the effectiveness of care and the achievement of an optimized result. To meet your specific needs, you must already identify your expectations. Do you want a device that acts against skin ageing, that can solve skin problems, soothe and plump the dermis? There are many uses for light therapy and only you have the answer to these kinds of questions. Depending on the action(s) you are looking for, you should first look at the number of colours on the LED face unit that will suit you. As a reminder, colours act differently on skin problems. Briefly, the green LED is the anti-aging color, the blue LED acts as an antiseptic, the red LED reduces wrinkles and healing, the infrared LED acts in depth on tissue repair, the pink LED soothes burns and the yellow LED activates blood circulation. The white led, finally, acts on morale. The 3-colour model: generally, it contains the green, blue and red LEDs which are the most commonly used colours in facial treatment to tighten and tighten tissues, erase pigmentary and brown spots, eliminate pimples and erase the passage of time. The 7-colour model: it is a complete treatment device that acts globally. The second question that arises when you want to perform facial treatments on your face concerns the neck. Indeed, for the simple reason that the neck has a very fragile skin like that of the face and that it is also exposed to the eyes of others, it is obvious that its treatment at the same time as the face is advised. Here again, it is therefore necessary to choose a model that is equipped with a neck adapter so that the area can be worked on as a whole and at the same time. On the technical side, there are also many questions. On the other hand, it is not your needs that determine the choice of the device, but really the characteristics that will determine the effectiveness of the LED device for the face. Thus, several criteria are to be examined under the microscope. Starting with the number of lamps. Indeed, the more leds in your device, the more homogeneous the effect will be. And this is what we are looking for with care, it is to act on the whole face, and possibly the neck, in the same way. Be careful, however! Photomodulation devices are subject to very strict standards to ensure that lamps do not contain ultraviolet light. Indeed, if some colours have a beneficial effect, others are really very harmful to your skin and in particular ultraviolet rays. Your device must therefore comply with the standards in force. These are recognizable by the mention of the EC certificate of conformity on the device. In addition, you must be able to access the intensity control to really have a high-performance and safe device. Then, it is obvious that the shape of the device will have an impact on the care. The best is to choose a device such as a led face mask. It looks like a light mask that is attached by an elastic band around your head. For more comfort, models that can be adjusted to your face are available. Non-adaptable devices will stay further away from your skin and therefore require a longer treatment time per session or take a little longer to produce the desired effect. It should be noted that the results must be quickly visible. If not all skins react in the same way, there is still a visible effect, even a slight one, such as a smoothing of the face, very quickly. Also, devices requiring more than one month of treatment to show the first results are not considered reliable and efficient. Finally, do not forget that you will be able to carry out your treatment in total autonomy. It is therefore advisable to select a model that has easy access to the control button, even when you are completely alone. Like the face, the body suffers the outrage of time. The skin then becomes flaccid, less elastic and may show age spots. In addition to the signs of aging, the body is also attacked by different episodes of life such as pregnancy, which can relax tissues and leave stretch marks after its passage, water retention, which causes the famous orange peel effect that all women fear, or skin dermatitis, which causes skin inflammation. To solve all these problems and restore a clear, soothed, plumped and tightened skin, light therapy is a precious help. However, it is necessary to choose the right model. To do this, you will once again ask yourself the right questions to choose the body led device that suits your needs. As the body requires more repairing colours than the face, it is advisable to choose a 7-colour model in order to have all the cards in hand to act on different areas. Thus, you will be able to treat cellulite with the yellow led as well as stretch marks with the green led. Moreover, the results are rather spectacular on this precise problem since light therapy makes it possible to reduce by 50% the old stretch marks recognizable by their whiteness and to completely erase the recent stretch marks, therefore still red. On the market, you will find panel-type models that are perfectly suited to cover a large area at the same time and are also handy enough to adapt to your curves. And there are also manual models that are equipped with interchangeable tips of varying sizes to treat different areas. Again, take a close look at the number of tips available and their shapes to choose the one that will best suit all your needs. Some led devices also look good on face and body thanks to the diversity of the tips. Here again, it will be necessary to check the number of bulbs and the power of the LEDs to get an idea of the effectiveness of the light therapy device. Indeed, the intensity must be adjustable in order to adjust it to your personal treatment. Not all skins have the same photosensitivity and this point is important for an effective and gentle treatment at the same time. 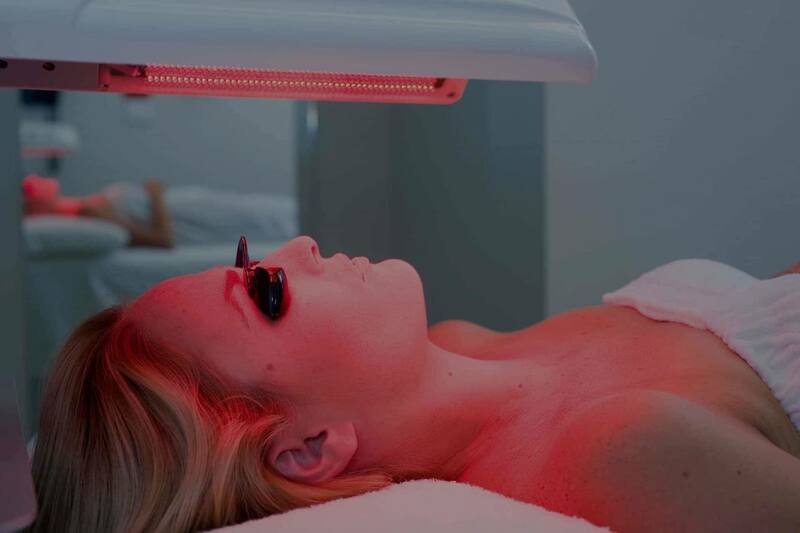 However, be aware that light therapy works with diodes that do not emit heat and do not attack the skin. If these symptoms occur with your device, stop taking care of it right away and find out what adjustments you need to make to get the desired treatment. In addition, there are no side effects during or after the treatment. However, in the marketplace, it is important to distinguish between light therapy devices and other models using other technologies that may be more aggressive. It is therefore necessary to choose a pulsed light photomodulation device carefully. Finally, to determine the model made for you, you should not hesitate to look at the instructions and the small lines of information in the product. You will find the criteria mentioned above, but also the recommended treatment times and the duration for a visible result. You will also have to select the model according to the time you have to devote to the maintenance of your body. If you have already followed all the information provided previously, you already have a good idea of the led device that is right for you. To give you a more precise idea, you can consult our guide on the best LED device for face and body.